The fact of the matter is that some people have faster metabolisms than others, and no matter how hard they try, they struggle to put on quality muscle mass. This is known as an "ectomorph" body type and it creates serious frustration when it comes to adding muscle size and weight. IncrediBULK addresses the needs of the ectomorph 'hard-gainer' head on pushes your lean mass building potential to the next level with a well-rounded profile featuring 252 g carbohydrates, 50 g of premium protein and a total of 1,250 calories per serving. Further rounding out the nutritional profile is the addition of CLA and MCTs for lean muscle and metabolism support. 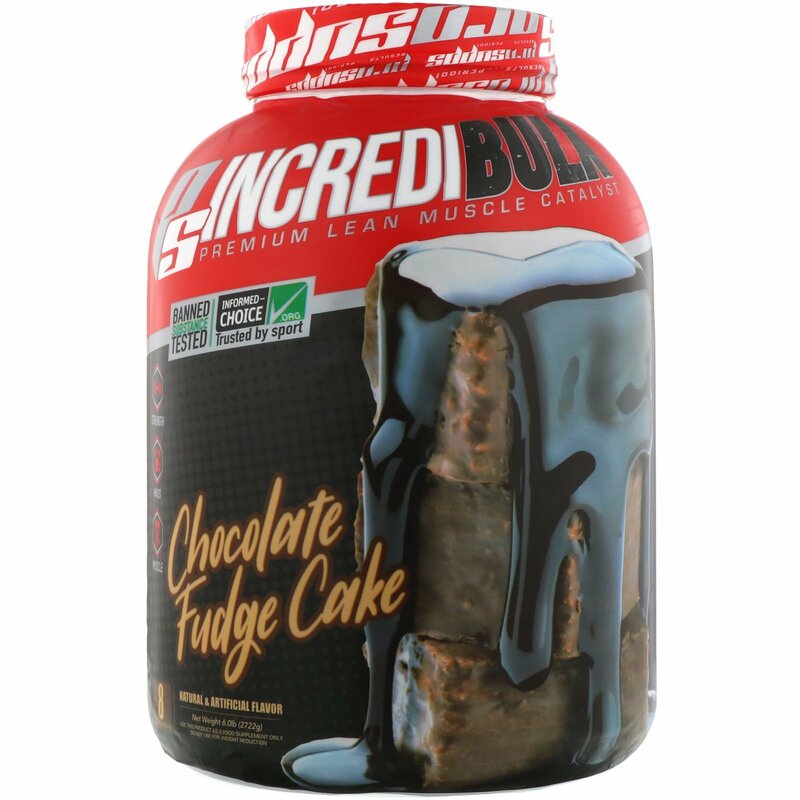 Created using only the finest ingredients available, incrediBULK incorporates the 'whole food' characteristics of premium grade whey protein concentrate and milk protein isolate to deliver 50 g of protein to promote lean muscle growth and maintenance and take your muscle building potential to the next level. What is your protein made out of? Derived from milk itself, MPI naturally contains 80% casein protein and 20% whey isolate protein per gram. It is highly regarded for wide variety of uses including providing sustained amino acid levels in the blood stream due to slower digestion via coagulating in the stomach. * This unique property of this slower digesting protein not only has been shown to help satiate hunger, but also help stabilized blood glucose levels and raise metabolism due to the thermic effect of protein. Additionally, our premium-grade MPI undergoes an advanced processing method, providing a protein source with minimal fats and lactose with no added sugars or cholesterol. 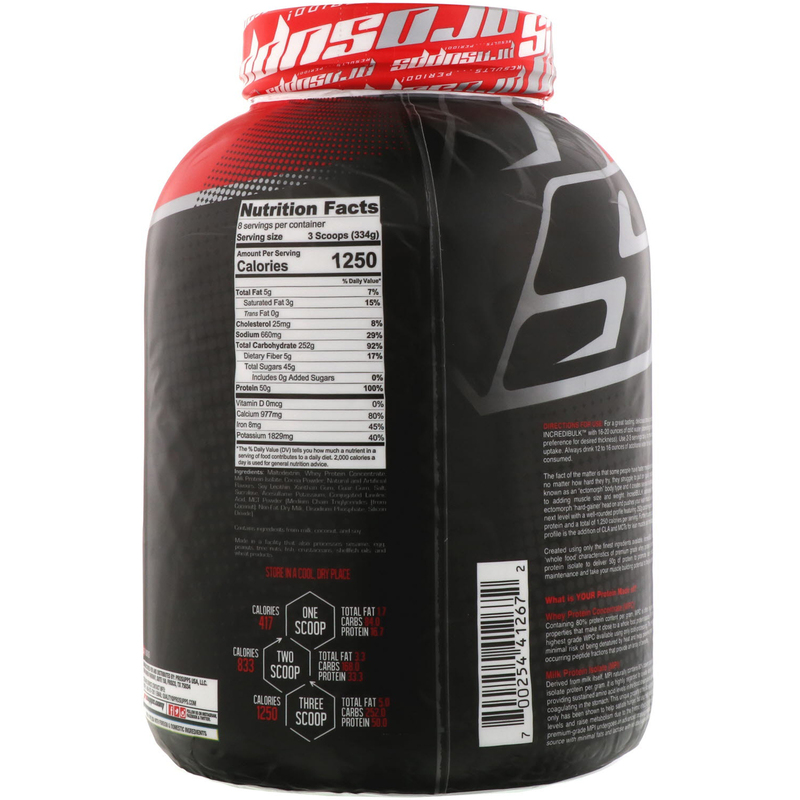 Maltodextrin, whey protein concentrate, milk protein isolate, cocoa power, natural and artificial flavors, soy lecithin, xanthan gum, guar gum, salt, sucralose, acesulfame potassium, conjugated linoleic acid, MCT powder (medium chain triglycerides [from coconut], non fat, dry milk, disodium phosphate, silicon dioxide). Contains ingredients from: Milk, coconut and soy. Made in a facility that also processes sesame, egg, peanuts, tree nuts, fish/crustaceans/shellfish oils, and wheat products.